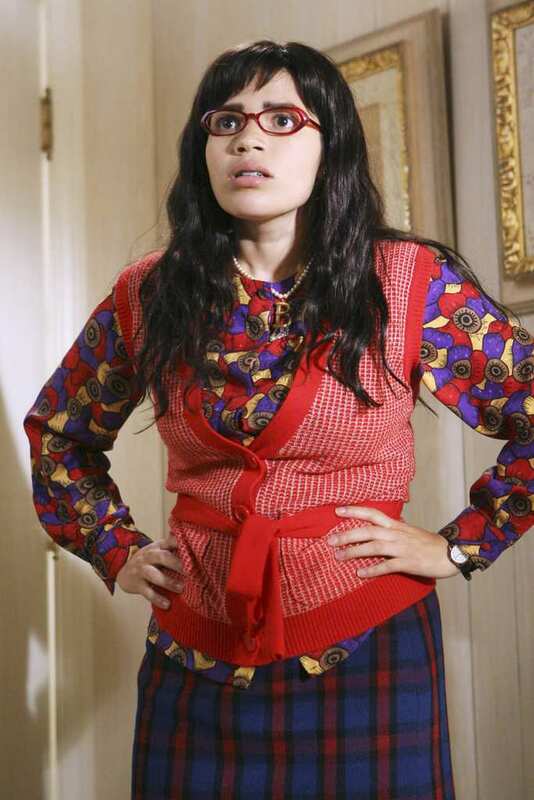 It is hard to believe that it has been over 10 years since “Ugly Betty” first graced our television screens on ABC. Ironically, the series was released only one week after the film The Devil Wears Prada, which featured a similar storyline of an intelligent plain Jane (Anne Hathaway) who lands a job as an assistant for the evil high fashion magazine editor (Meryl Streep). The film received rave reviews and earned Streep a Golden Globe Award for Best Actress. So when “Ugly Betty” made its debut, fans who recently fell in love with The Devil Wears Prada, were more than thrilled to see a TV series with the same plot. Of course, there was a lot of negative attention that “Ugly Betty” initially received, many believed that the producers of the show were “ripping off” the recent book turned film by Lauren Weisberger. 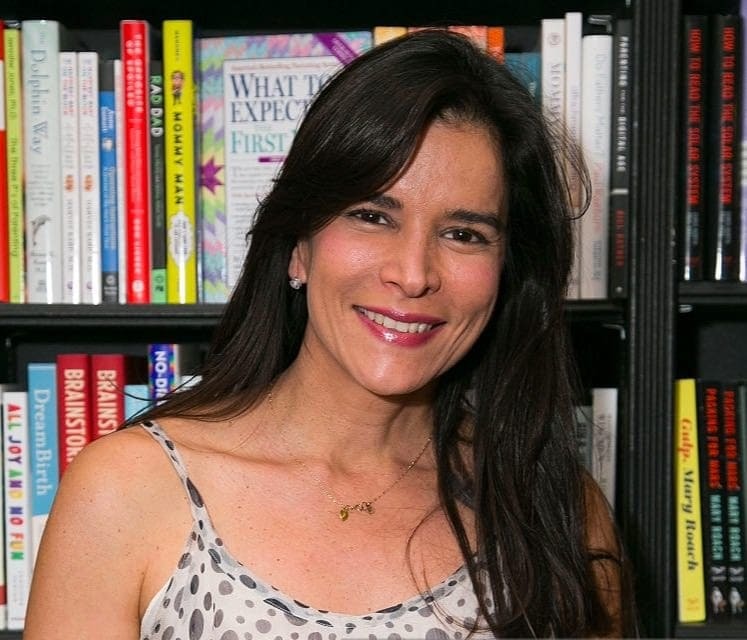 However, the critics were soon proved wrong after it was revealed that “Ugly Betty” was actually based on the very popular Columbian telenovela “Yo Soy Betty, La Fea” (I am Betty, The Ugly), which aired from 1999-2001. Despite its familiar storyline, the series continued to stand out among everything else on air at the time. There weren’t many popular American series out there that featured “ugly” female characters, especially one who is Latino. The series celebrated diversity and broke ground for minorities everywhere. It didn’t take long until America fell in love with America, America Ferrara that is. The young actress became a star for portraying the role of “Ugly” Betty (who is not so ugly after all) and gained recognition from all over the world for her tremendous performance on the show. She went on to win an Emmy Award, Screen Actors Guild Award, Golden Globe Award and more only one year following the show’s premiere. After two immensely successful seasons, the ratings suddenly began to drop and the series was moved to a Friday night spot, which angered its dedicated fans. ABC gave the series one more chance with a new Wednesday night slot right after Modern Family, but unfortunately it didn’t help much and the ratings continued to drop. “Ugly Betty” ended too soon, and was cancelled after the 4th season. It has now been 7 years since we said goodbye to the cast of “Ugly Betty”. The actors and actresses that made the show so remarkable are now 7 years older, and while some of them left their acting days behind them, many of them are off to much bigger and better things. Daniel Meade is the Editor-in-chief at MODE and the son of the magazine’s publisher Bradford Meade and Claire Meade, the true owner of the magazine. Daniel is seen from season one as a womanizer, who has a habit of sleeping with his assistants. At first, he despised Betty, and resented having her work for him. However, as time goes by he starts to realize how valuable Betty is to the company, and she becomes a very close friend and ally to Daniel. 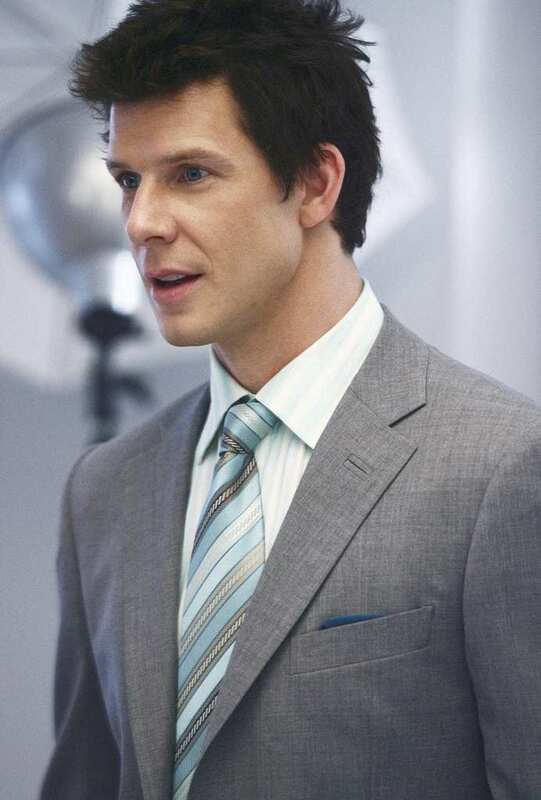 Since Eric’s days on “Ugly Betty”, he has been appearing regularly as Oliver O’Toole in several made for TV Hallmark movies in the Signed, Sealed, Delivered franchise. He first played the role on the Hallmark series with the same name, and later appeared in the 10 TV movies that have followed in the franchise. He has been married to his wife Ivy Sherrman since 2006, and the coupe have two children together. Alexis was originally Alexander Spencer Meade, Daniel’s brother and the former editor-in-chief of Hudson Magazine who was believed to be killed in a skiing accident. He returns as a mysterious woman in bandages, and conspires with Wilhelmina to takeover MODE magazine from Daniel. The mysterious woman reveals her identity as the former Alex Meade who is now called Alexis, leaving the Meade family in shock. Alexis was played by Elizabeth Penn Payne for the first 12 episodes, but was later replaced by Rebecca Romijn for the rest of the series. Rebecca Romijn is probably still known best today for her roles as Mystique in the X-Men films. Her role on “Ugly Betty” opened even more doors for the blonde beauty, and she appeared in series like Eastwick, King & Maxwell, and The Librarians (where she played alongside former costar Vanessa Williams.) Rebecca was married to Full House’s John Stamos from 1998-2005, and is now married to actor Jerry O’Connell, who she has two children with. Hilda Suarez is Betty’s vivacious and slightly vain older sister, who is the complete opposite of Betty. She got pregnant at the age of 17, and has a son named Justin who she raised at home with Betty and their father, since Justin’s father Santos was out of the picture. Despite their differences, Hilda is always very protective of Betty and her family, with her fiery personality, she is more than willing to verbally attack anyone who tries to threaten her or her family. After “Ugly Betty”, Ana went on to play Gail in the movie Big Momma’s House followed by numerous TV roles until landing her next big role as Marisol Suarez in Lifetime’s popular series Devious Maids. Her last role was in the series The Mindy Project, where she appeared in a few episodes as Dr. Mary Hernandez. Ana is now a married woman, and has two children with her husband Noah Lebenzon. Claire is the late Bradford Meade’s ex-wife and Alexis and Daniel’s mother. She was portrayed by Judith Light whose performance gained her an Emmy nomination. She was seen in the series in a rehabilitation clinic, where she was recovering from a drinking problem, which she claimed was due to her husband’s affair with Fey Sommers. She is revealed later on as the murderer of MODE’s former Chief Editor Fey Sommers, and Betty ends up convincing Claire to call the police and turn herself in. After her role on “Ugly Betty”, Judith focused on her career on-stage, and received her first Tony Award nomination the following year for her role in the Broadway play, Lombardi. In 2012 and 2013 she won two consecutive Tonys for her performances in The Other Desert Cities and The Assembled Parties. She is now back to television and playing the role of Shelly Pfefferman on the Award-winning Amazon series Transparent. Justin is Hilda’s son and Betty’s nephew. He lives with his mother, aunt and grandfather Ignacio. His father, Santos, was out of the picture for most of his life, and is murdered in the season one finale. Justin is fashion conscious and loves reading his favorite magazine, MODE. Although it was hinted early on in the series, it isn’t officially revealed until the 4th season that Justin is attracted to men. 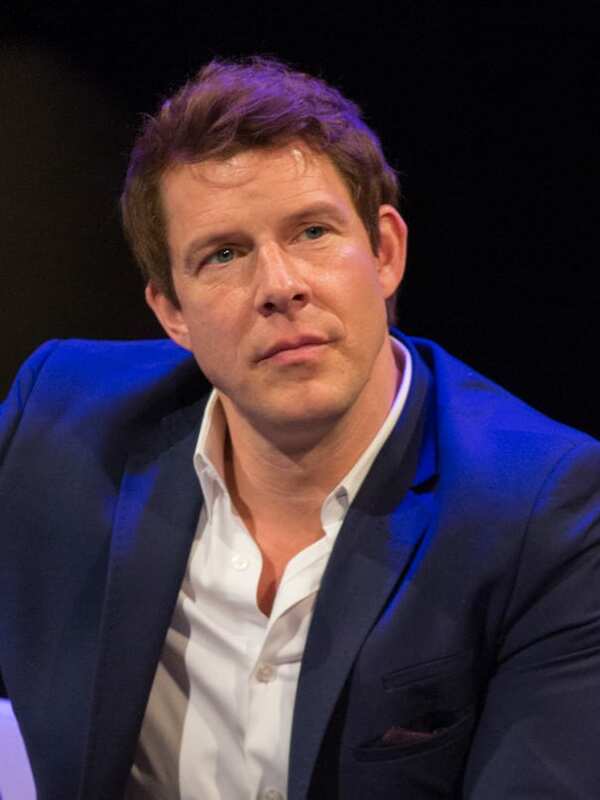 After playing Justin on “Ugly Betty”, Mark landed a small one-episode role as Zack in the series Hot in Cleveland, and a role as Harvey Flynn in the TV movie Madison High. In 2014, he played Mickey in the critically acclaimed art drama film titled White Bird in a Blizzard starring Shailene Woodley. His last role was in 2016, where he played Blair Ramos in Freeform’s series Dead of Summer. Christina is an immigrant from Scotland who started off as a MODE seamstress and ended up becoming a designer. She and Betty became close friends from the very beginning. She was married to Stuart McKinney, who she left due to his problems with illegal substances. He later returns with liver failure, and Christina is desperate for money to help pay for his medical care. She decides to be Wilhelmina’s surrogate mother and gives birth to a baby named Will, who she finds out is actually her and Stuart’s baby. They end up moving back to Scotland with Betty’s help, where Christina becomes a designer. After playing Betty’s best friend, Ashley Jensen continued appearing in series (but in smaller roles) such as Love & Marriage, Agatha Raisin and Catastrophe. She is now playing Kate in BBC One’s new drama series Love, Lies and Records. She married her boyfriend of six years, actor Terence Beesley in 2007 in a ceremony in the California woods of Big Sur. The couple now have one son together. Ignacio is Betty and Hilda’s father and Justin’s grandfather. He was a boxer in Mexico, and is known for being an incredible cook. Ignacio is a supportive father and supports Betty’s job at MODE, even though he often worries about how she is getting treated there. And Betty, is worried about his health and well-being, especially because he has a heart condition and continues to drink coffee and eat poorly. He ends up getting in a bit of trouble over his illegal immigration status and returns to Mexico, until he is finally brought back to the states and made an official citizen. Tony has done quite a lot of work since his “Ugly Betty” days, including a role as Alejandro in Desperate Housewives, as Benito Lopez on the series Alpha House and as Rafael Hernandez in The Punisher. He is now taking on the role of Admiral Ed Parker in CBS’s hit TV show Madam Secretary. He has been married to actress Ada Maris since 1988 and is the father of two children. Molly was the kindergarten teacher who was first engaged to Daniel Meade’s friend and CFO of Meade Publications Connor Owens, but later on fell for and ended up marrying Daniel Meade. On the day of their wedding, Molly collapses shortly after they say “I do” revealing that the cancer, which she had struggled with in the past, has returned. She tragically passes away due to her illness, and Daniel features her in MODE’s Wedding Issue in her memory. After Sarah’s extremely emotional exit from “Ugly Betty”, which left fans heartbroken, she went on to narrate the reality TV series My Fair Wedding. Since then she has only been appearing in minor television roles in series like Major Crimes, Criminal Minds, NCIS: Los Angeles and Bones- which was her last acting credit in 2015. It seems like the former actress has since retired from the acting world, and is staying out of the limelight for the time being. Marc started off as Wilhelmina’s assistant at MODE, before he later gets promoted into the magazine’s Junior Fashion Editor. He is known for his juicy gossip, and as Wilhelmina’s loyal sidekick who helps her with all of her evil schemes to take over the magazine and ruin Betty’s career. He has a relationship with Cliff St. Paul, a fashion photographer and later on reconnects with an old boyfriend named Troy. Marc also appeared in the spin-off web series titled Mode After Hours. 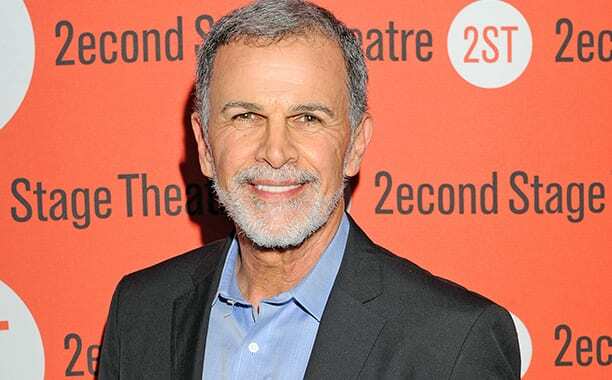 Michael continued to have a successful acting career post “Ugly Betty”, and appeared as recurring roles in a number of series such as Partners and The Good Wife. He is currently playing the role of Redmond on TV Land’s popular series Younger and is also focusing on his career in theater. 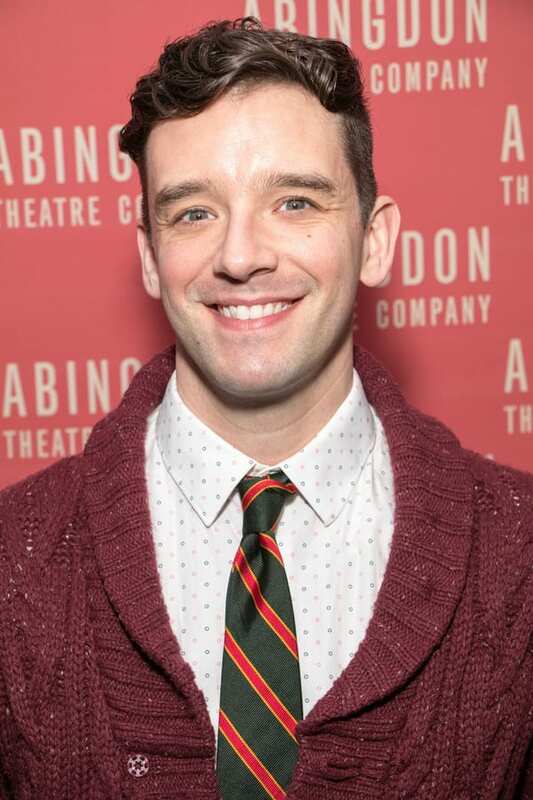 He has been in numerous Off-Broadway shows and is preparing for his next role at Washington DC’s Shakespeare Theatre Company where he will be taking on one of theatre’s most challenging roles, as Hamlet. Walter is Betty’s boyfriend early on in the series. He started off as a recurring character, and became a series regular by the middle of the first season, but didn’t return for the 2nd season. He works at an electronics store called Pro-Buy and he is an expert at fixing technical equipment. Walter and Betty had a pretty rocky relationship, especially after he breaks up with her for Gina Gambarro, a girl who only used him to get a discount on a TV. Walter and Betty get back together until he eventually leaves her for a job in the new Pro-Buy store in Maryland. Kevin appeared in multiple TV series after leaving his role on “Ugly Betty”, but most of them were only minor parts. Two years later, he landed his largest role on television yet as comic shop owner, Stuart Bloom in CBS’s The Big Bang Theory. 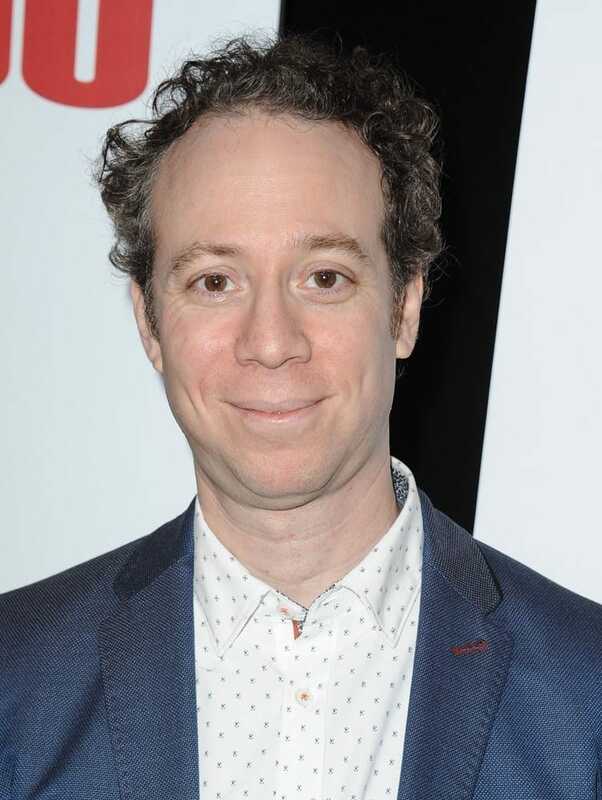 He has been playing the role as Stuart ever since the 2nd season of the series, and he is still appearing today eight years later. Salma is one of Hollywood’s most stunning and talented actresses, and had starred in several films prior to landing one of her first TV roles on “Ugly Betty”. She continued to star in films such as Grown Ups 1 and 2 with Adam Sandler and as Elena in Savages with Blake Lively. She also had a recurring spot on NBC’s 30 Rock. She most recently played the role as Sonia Kincaid in The Hitman’s Bodyguard starring Ryan Reynolds and Samuel L. Jackson. She has been married to her French billionaire husband François-Henri Pinault, since 2009 and the couple have 1 child together. Amanda Tanen is the stunning, but obnoxiously vain receptionist at MODE. Betty met her on her first day at work, and they did not have a good start. Amanda would often do anything she could to sabotage anything positive that came Betty’s way. Later in the series, Amanda puts her jealousy behind her and the two actually become close friends. So close in fact, that they move in together at one point in the series. 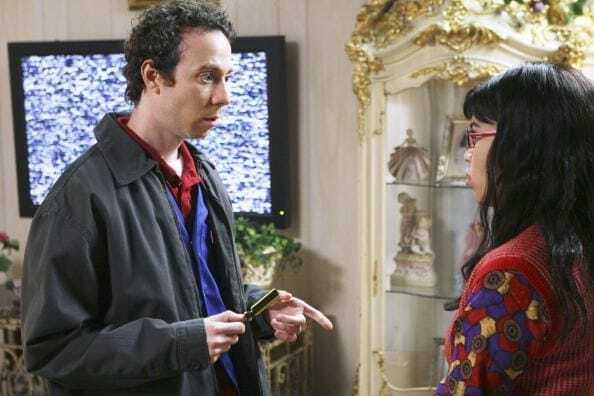 After playing one of the most popular characters on “Ugly Betty”, Becki quickly landed her next role, as Annie Matopoulos in the series Love Bites, followed by the role of Quinn aka Barney’s ex-fiancée in How I Met Your Mother. After that, she had a recurring role as Chloe Goodwin in The Goodwin Games and voiced Marsha in a few episodes of American Dad!. Her last role was in 2016, where she played Christy in a TV movie titled Winning Ugly. In 2005, she married actor Chris Diamantopoulos (no wonder why she kept her last name) and the couple now have two children. 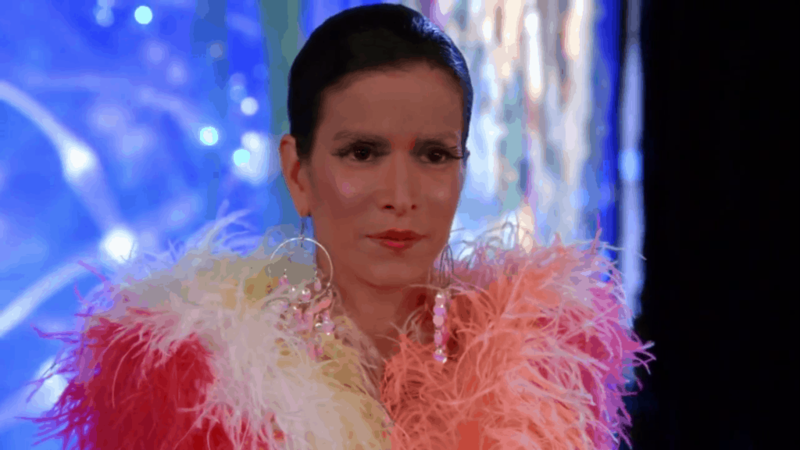 The Venezuelan actress/first Native American supermodel Patricia Velásquez made a guest appearance in the 13th episode in the fourth season of “Ugly Betty”. She played Victoria Velez, a famous actress who Marc was put in charge of running a photo shoot with her and Diego, a famous director. While the were many celebrity guest stars on the show, such as Shakira and Victoria Beckham, Patricia was definitely a fan favorite. Patricia was well known prior to “Ugly Betty” for her roles in The Mummy movies and in the series Arrested Development, American Family and The L Word. Since then, she has appeared in the TV movie Almighty Thor as one of the leads, Jarnsaxa, and starred as Liz in the Venezuelan movie Liz in September. In 2015, she released her memoir titled Straight Walk, about her struggles growing up in poverty and about realizing that she was attracted to women. She is the world’s first Latina supermodel who has been open about her relationships with women. Betty Surarez is the protagonist and heroine of the show, and is portrayed by America Ferrerra, who went on to win an Emmy, Golden Globe and SAG Award for her performance. Betty is considered a sweet, intelligent hard worker at the high fashion magazine MODE, but is often looked down at since she isn’t as pretty or thin as the other girls she works with. Daniel Meade’s father was tired of his son sleeping with his assistants, so he hired Betty as Daniel’s secretary due to the fact that she was not his son’s type. After America Ferrera’s long-time role on “Ugly Betty” came to an end, she started working as a voice actress and voiced Astrid in the animated film How to Train Your Dragon (1 and 2) and in the spin-off series Dragons: Riders of Berk. She also played the lead role in a web series titled Christine, and played Natalie Flores in The Good Wife. She is currently playing Amy in the NBC comedy series Superstore. In 2011, she got married to actor/director Ryan Piers Williams. Vanessa Williams received several awards and nominations for her portrayal of Wilhelmina Slater, and was even named as one of TV’s Greatest Villains of All Time by Entertainment Weekly. Wilhelmina, is the conceited, selfish diva and former supermodel who obsesses over two things in life: MODE and Botox. She is MODE’s Creative Director who has been with the magazine since the early ’80s, when she was still Fey Sommer’s assistant “Wanda Slater”. Her plans to sabotage Daniel in order to take over his position are often thwarted by Betty. The multi-talented Vanessa Williams is no small name in Hollywood, but her role on “Ugly Betty” is still one of her most famous TV characters. She went on to play another great role, as Renee Perry in Desperate Housewives, right after saying goodbye to the cast of “Ugly Betty”. She then moved on to several more TV roles in series like The Librarians, Daytime Divas and Milo Murphy’s Law. She has been married to her third husband, Jim Skrip, since 2015 and she has 4 children. Who are minimalists and what’s their way of life? Why would anyone add the cinematic masterpiece that is Jumanji?